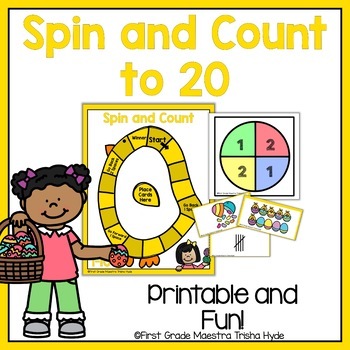 Your students will be engaged with this spin and count to 20 Math Game. 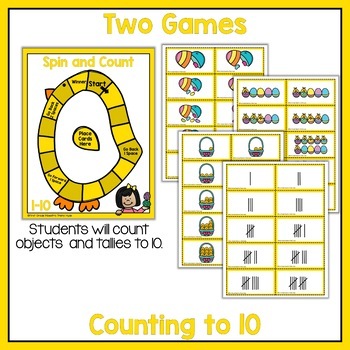 There are two games included to make differentiation easy! 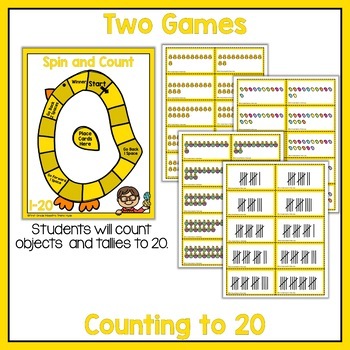 Students will practice counting to 10 or 20 with these two games. Students will count chicks, jelly beans, eggs, and tallies to 10 or 20. 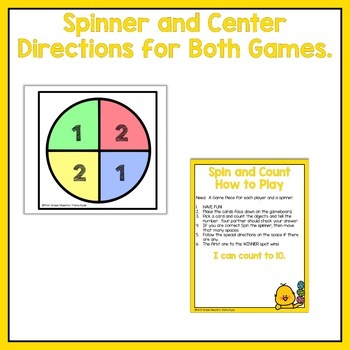 Each game includes a spinner and easy to follow directions. This game is in full color.